February 17, 2017: Big, clean surf. Winds gusting to 50 MPH. Spindrift! 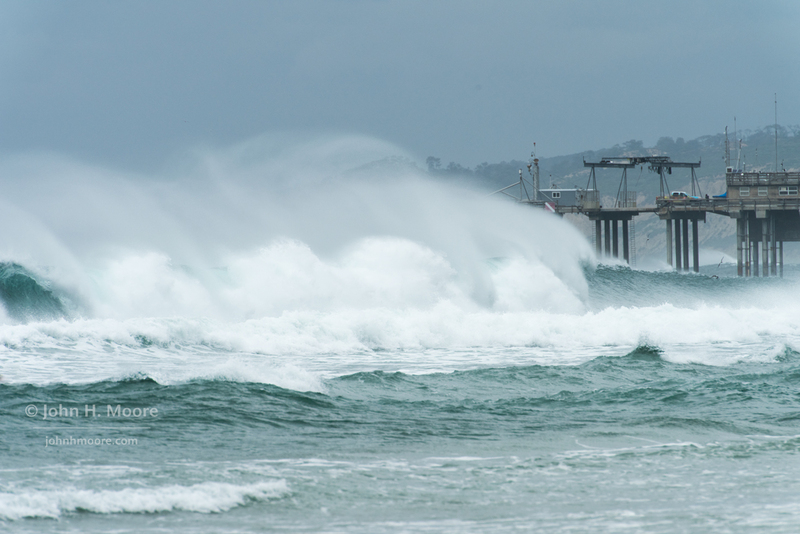 Breaking wave and spindrift near Scripps Pier. La Jolla, California, USA. 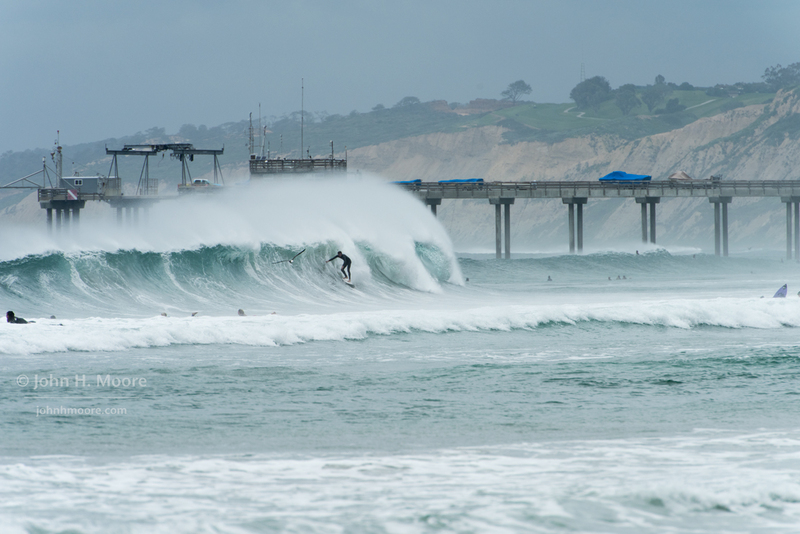 Surfer in a barrel on a very windy day (with spindrift) near Scripps Pier. 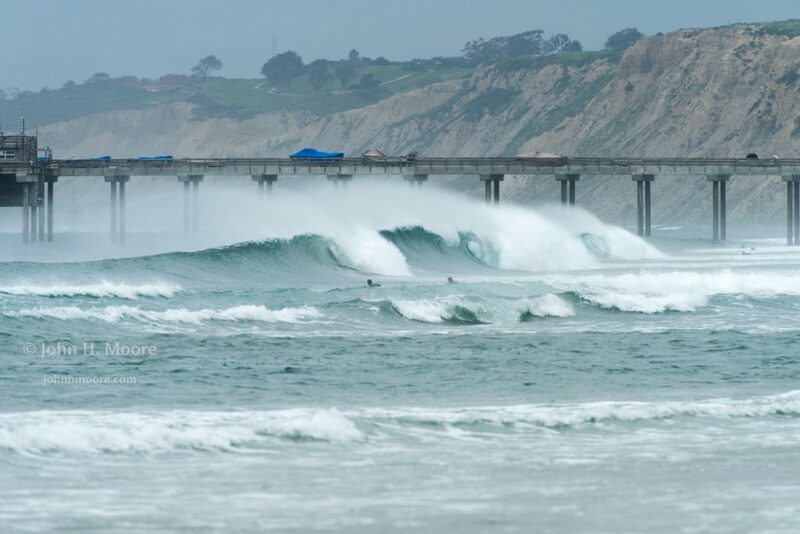 La Jolla, California, USA. 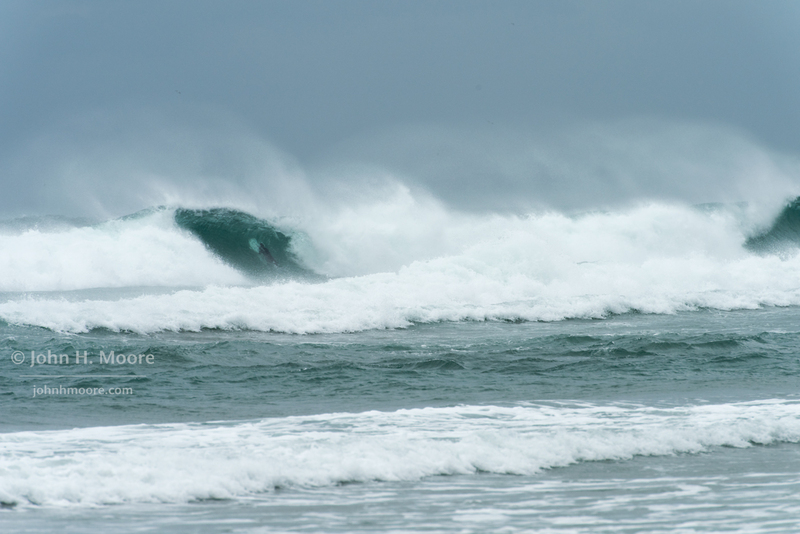 A surfer inside a breaking wave with spindrift above. La Jolla, California, USA. Surfers near Scripps Pier on a very windy day, with spindrift. 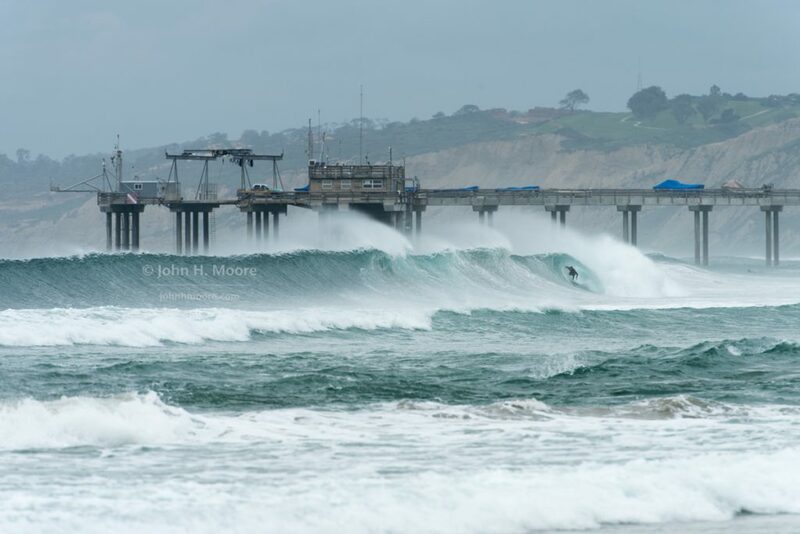 La Jolla, California, USA. This entry was posted on February 17, 2017. It was filed under Uncategorized. Thank you for the splendid photos…and a very Happy 50th to you! Love the spindrift. Speedy & full recovery to you. Thanks for sharing. Beautiful photos; I love spindrift too! (I also didn’t know that’s what it was called.) Happy belated birthday. May your sixth decade treat you well.